Pep Guardiola, born in 1971, has experienced success as both a player and a manager. He was part of the Barcelona ‘Dream Team’ in 1990, coached by Johan Cruyff. Guardiola began his footballing career in the Barcelona Youth Squad, joining La Masia when he was only 13 years old. He made his Barcelona senior debut six years after joining La Masia. Cruyff changed Guardiola’s playing position while Pep was still in the Youth Squad. Pep initially played on the right wing, but Cruyff demanded he moved to a more central position – a position wherein Guardiola thrived. After making over 360 appearances for Barcelona, he left in 2001, only to return in 2007 as coach of the Barcelona B squad. A year later, Guardiola was appointed as manager of the senior Barcelona squad. The Catalan manager announced his big plans for the club, which included offloading the then Barcelona stars like Ronaldinho, Deco, and Samuel Eto’o. Pep Guardiola made his name as a Barcelona manager. He managed 247 games for the Catalan side, winning three consecutive La Liga titles and two UEFA Champions League trophies. Guardiola brought more discipline to Barcelona as a manager. He insisted on a possession-hogging tactical style of football which dominated Europe. Guardiola shifted Messi from his right wing role to a false nine position and pushed his defense to play higher up the pitch. Pep used Xavi and Iniesta to retain possession in midfield and quickly deploy the ball to the attackers. Guardiola implemented the ‘tiki-taka’ style of football. This form of play involves retaining high levels of ball possession and a quick, aggressive style of play. In 2013, Guardiola took over a Bayern Munich side which had just won the treble during the previous season. Guardiola failed to win a UEFA Champions League trophy during his three years in Munich, however, he did manage the club to three consecutive League titles. Guardiola only lost 19 of the 161 games he managed for Bayern Munich. In 2016, Guardiola was announced as Manchester City’s new manager, coming in with plenty of promise. The Catalan boss has so far won all eight of his games in charge of City, including a win against his old rival and former partner, Jose Mourinho. Guardiola is never one to shy away from the media. However, unlike his old foe, Jose Mourinho, he does try to watch what he says. Pep Guardiola revealed in one of his biographies that he wouldn’t mind taking over the Old Trafford hot-seat in the near future. The Catalan man had just been handed the reigns at Bayern Munich after taking a year-long break from coaching. During his last season at Barcelona, Guardiola was constantly linked with a move to Manchester United. Reports even claimed that Sir Alex Ferguson met up with Pep to discuss the move. However, Guardiola opted for the move to Germany, where he enjoyed three great years before finally moving the Manchester in 2016 – but not to Manchester United; he opted for Manchester City. Nevertheless, Manchester United fans will be happy to see the kind of high-profile coaches who dream of taking over at Old Trafford. Maybe someday in the future, Guardiola would re-consider the Manchester United role. Pep Guardiola admired the English midfielder. He spoke about a week before Barcelona were set to meet Manchester United in the 2011 UEFA Champions League final. Barcelona went on to beat Manchester United 3-1 in the final, lifting their second and final UEFA Champions League trophy during the Guardiola era. Paul Scholes played in the final, but he began on the bench and was subbed on during the 77th minute, as Sir Alex had opted to start with Michael Carrick instead. Pep Guardiola continued to praise the Argentine attacker even when he was at Bayern Munich. During a press conference in Germany, Guardiola revealed how difficult it would be to stop Lionel Messi as an attacker. Guardiola and Messi together won 14 trophies at Barcelona during a four-year period. The pair seemed inseparable, and as a result, Guardiola continued praising the Barcelona man whilst he was coaching the Bavarian side. Lionel Messi continues to inspire Barcelona today. The Argentine has been a crucial member of the Catalan side for over the past decade. It is unlikely that he will ever leave Spain the way in which Guardiola did. Guardiola wrote this in one his books while coaching Bayern Munich. He was referring to the attitude which he tried to instill during Bayern’s training sessions. The Catalan coach was desperately trying to win the UEFA Champions League while in Munich, but he failed to replicate the Champions League success that he enjoyed at Barcelona. Pep wrote the quote in his biography. He mentioned that the squad had just come back from beating Arsenal 2-0, and the team was looking to the second leg as a chance to expose Arsene Wenger’s weaknesses in the squad. This quote may come as a surprise to many football fans around the world. Spanish football was completely revolutionized after the invention of tiki-taka. This tactic was used to help Spain win the 2008 Euros, 2010 World Cup, and the 2012 Euros. Pep Guardiola was the mastermind behind this playing style, although its formation goes way back to the Johan Cruyff era, during the years of 1988 to 1996. The tactic continued with Barcelona under the management of Louis Van Gaal as well as Frank Rijkaard. 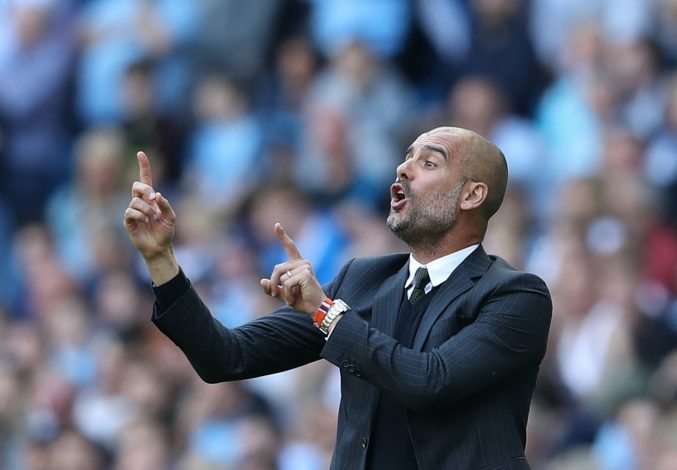 However, Guardiola reached unforeseen levels with the tactics. It propelled him to where he is today. Although many fans argue that the style of play is rather boring as it involves maintaining high-levels of possession and a quick attacking run of play, many Spanish clubs, including Barcelona, still integrate some forms of the tiki-taka playing style.